Same as the snowies but in brown candy. Old and popular! Plain Chocolate Fruit creams, same quality as the coffee creams some are orange, some lime some strawberry. An old favourite. A very tasty mini ginger covered in plain chocolate. Dark Chocolate with natural coffee flavour fondant cream centres. since 1920. 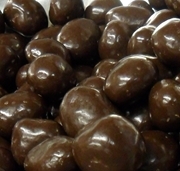 All Beech's chocolates contain only natural flavouring and colours. Beech's Violet creams, dark chocolate with natural violet flavour fondant cream centres. 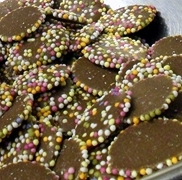 Beech's has been making traditional British chocolates since 1920. All Beech's chocolates contain only natural flavouring and colours.